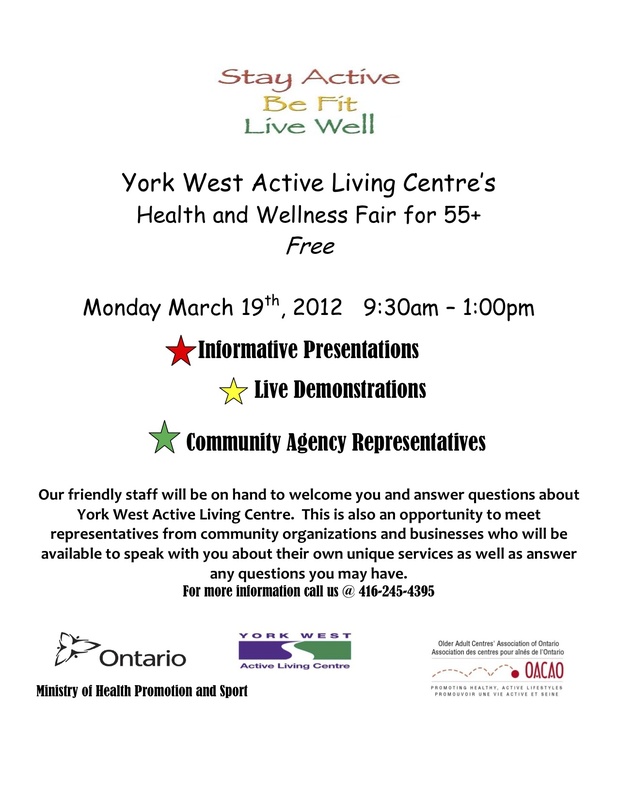 York West Active Living Centre will be having a health and wellness fair on Monday, from 9:30 am to 1 pm. Previous Previous post: It’s not an Airport Link, it’s a subway! Next Next post: Police investigating shooting. Nobody hurt.